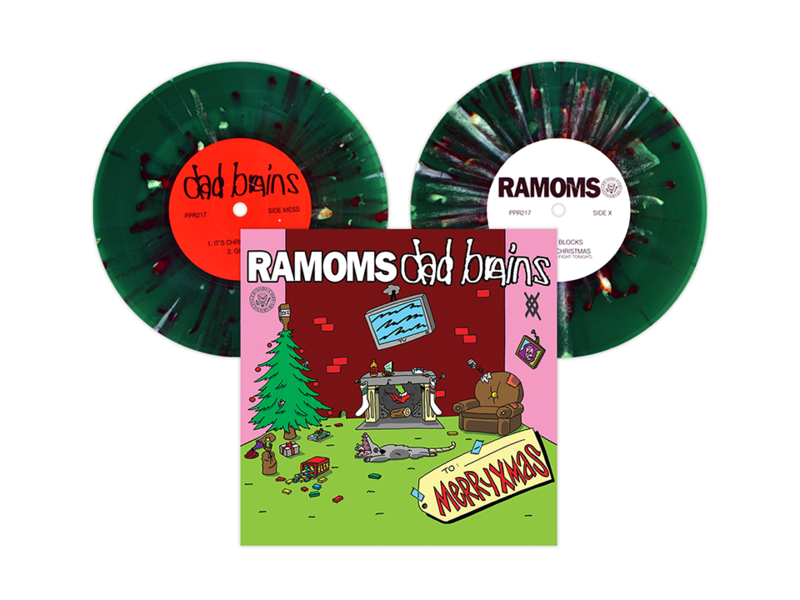 Just in time for the holidays, grab the DAD BRAINS / RAMOMS MERRYXMAS split 7″! Buy one for yourself. Buy one for your partner. Buy one for anyone else you know who has done the Lego ‘walk of fire’ or pulled their hair out over the madness that ensues around little punk munchkins. All cool parents deserve one of these in their stocking!! With the buzz surrounding both of these bands, this Limited Edition 1st pressing is bound to fly, so get your holiday orders in quick! **NOTE: OUR MAILORDER WILL BE CLOSED FROM DECEMBER 14th – 26th SO ORDER NOW!